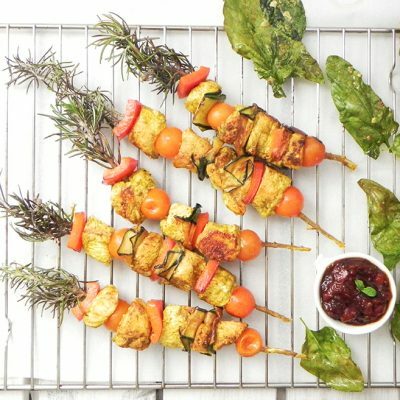 Moorish skewers of succulent chicken marinated in a delicious mix of of spices and aromatic herbs. 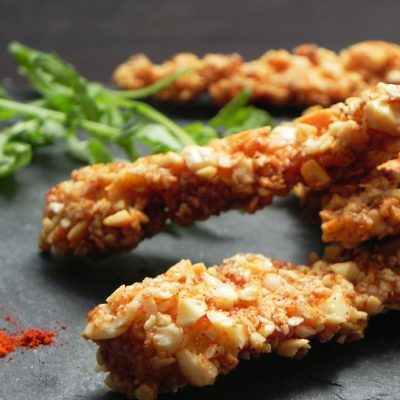 Known in Spain as ‘Lagrimita de Pollo’ or chickens’ tears, these chicken pieces are battered with Marcona Almonds and Paprika to give a nice crunchy spice. 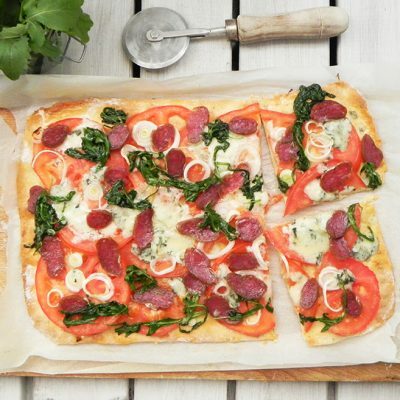 A pizza-like pastry topped with a deliciously creamy and spicy blue cheese and an organic cured sausage.